It is time to reclaim your rightful place as a leader…there is no longer any need to hide your light or pretend to be small. Channeled by Genoveva Coyle. Greetings my brave ones! 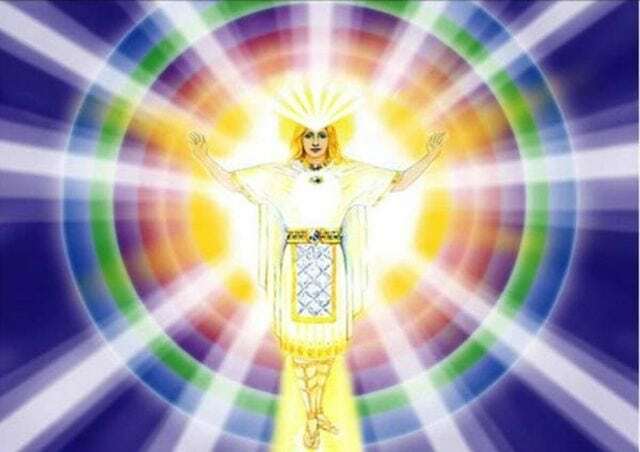 I AM Mi-ka-el, I AM Michael, Archangel of Love and Light, Warrior of Peace, and Bringer of the Truth, your brother, your family, and your closest ally. Dear hearts, I am your friend and protector, for I am the one who promised you a long time ago that I would be by your side at all times and that I would be everywhere you find yourselves needing to travel. Recently you have been traveling far and wide, for you have been forging paths of light in the deepest spaces of the shadows. A job well done! Now you are triumphantly back, for yes, you are home in your centered hearts, and you can feel my pride and love pouring into your sweet selves. Mission accomplished, dearest ones! Many of you have done exactly what you had promised, for you took the light, our light, and went into the shadows of the Earth and lighted up places whose existence not many were aware of. You have worked day and night, undercover and sometimes even openly, shining your bright light, and you’ve done well! Now it is time to rest and recuperate. Now it is time to celebrate and marvel at your progress and to enjoy your/our victory. You know that there is still work to be done, and we know how eager you are to dive back in to finish and complete it all. And that time will come, but in this moment you need to balance and integrate all that you have been gathering so diligently. You need to tend to your entire beingness, and then lightly shift into your next type of mission/s. You see, for most of you, it is time for you to step forward and move further into the daylight as well. It is the time to reclaim your rightful place as a leader of love, as a being of light, and as a son or daughter of The Mother/Father /God. There is no longer any need to hide your light or pretend to be small, for you understand there is no trick or trap that the darkness can set that you are not able to foresee and therefore neutralize. This is one of the multifaceted benefits of your recent travels into the shadows, for you have gathered together all the wisdom and other parts of yourselves that know the ways of the perpetrators and manipulators who use their power over others. You had previously placed these pieces of experiential gem-selves onto your paths in preparation for this time in your evolution, to assist you and to guide you. We have been telling you for years that there is nothing small about you, and that you have access to the universal wisdom and to all knowledge, and that at the right time you would be able to access it. Books and libraries have some of this information, but there is nothing better than your own specific information, gained through your actual life lessons, which are the paths that you have personally walked yourselves. 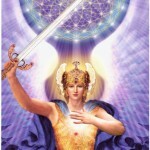 Now you are accessing information and wisdom that you have garnered in previous lives, and even in future lifetimes. And what you are doing is bringing into yourselves, and reclaiming them, those parts of yourselves that have lived and studied one or more of the specific life and domain issues confronting humanity at this time. Now it is the time to access and decode all these libraries of Divine Wisdom so that you can step forward boldly and courageously as warriors of peace, and as knowers of the truth and light. Know that I am by your side. Know that you have access to my loving and supportive energy at all times. 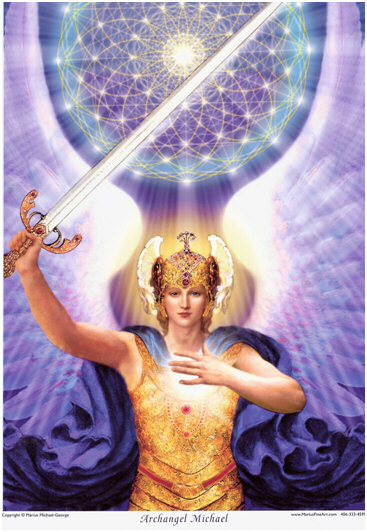 Take your mighty swords and shields of light, take my strength and love, and yes, take even my sword of light to shine and clear the way in my name, for yourselves and for others who are counting on your support and strength. Smile, stand strong and tall in your power, setting firm limits on the ones who were used to overstepping and crossing your boundaries and those of others, by using the deceits and manipulations of the old paradigm. Let them know that this is not permissible, that you are not going to allow this any longer! The rules changed a while ago and everyone, without exception, has to obey! There is no war to engage in, there is no fight that you have to undertake, this is just the way things are at this time on Nova Earth. This is the shift into the freedom of your hearts, this is the peaceful way when your sovereignty, and other peoples’ freedom, has to be respected unquestioningly! You are the guardians of the truth, you are the guardians of freedom, you are my brave legions of the light! I am knighting you again, my brave ones! I am igniting and upgrading my blue-fire of light within your hearts once more! Congratulations! It is an honor to be traveling with you! Stay with my light and power! Farewell.